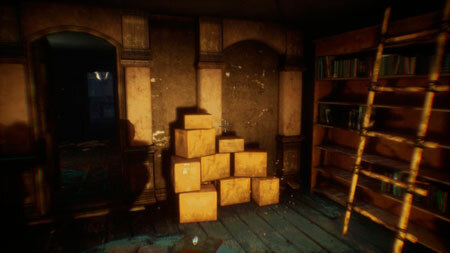 House of Evil 2 is a horror survival adventure game developed by Indie_Games_Studio. You can test your nerves for strength in the first-person view. Events take place in the mansion, which exists in reality. Max retires from special services and devotes all his free time to investigating the disappearance of his friends, he had a dream where Michael calls for help, so Max decides to once again examine the old mansion in ” Zaklyuchye “and hit the road. After the tenants of the mansion and Max’s friends went missing, 2 years have passed, almost all of the looters ransacked the house, the mansion grew old without proper care and turned into such a gloomy place. You will have to solve interesting puzzles, learn spells in Latin. To investigate, just find out what happened 2 years ago. If you get stuck in the game, check out the video walkthrough and gameplay for the game. This entry was posted in PC Games, Walkthrough and tagged House of Evil 2 Cheats, House of Evil 2 Gameplay, House of Evil 2 Guide, House of Evil 2 Strategy, House of Evil 2 Walkthrough by Marvin. Bookmark the permalink.